Vertou is a commune in the Loire-Atlantique department in western France. 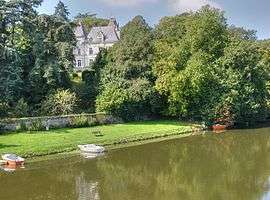 It is located on the River Sèvre Nantaise, and was a historical town of Brittany. Today, Vertou is a component of the metropolitan Urban Community of Nantes Métropole and is the fifth-largest suburb of the city of Nantes, lying just southeast of Nantes.